The race began promptly at 9:15am, and what a fast and amazing start it was! 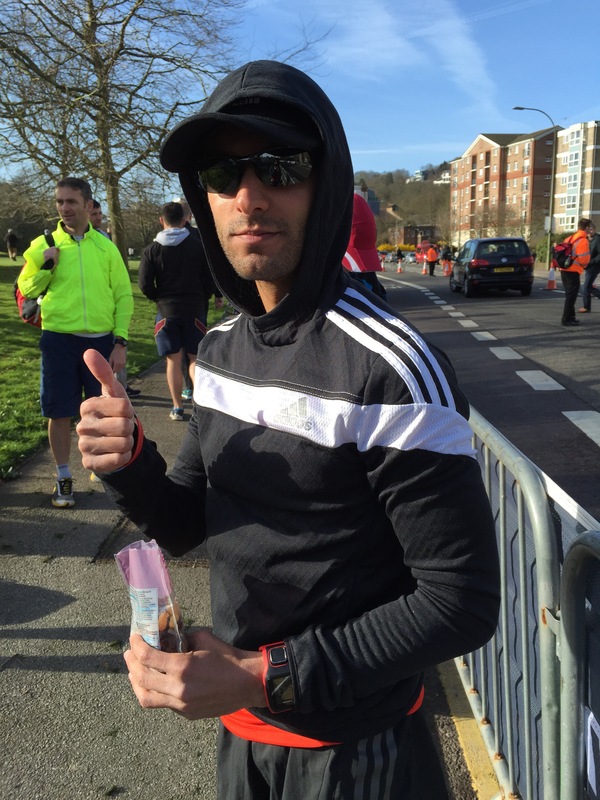 My aim was to stick to a sub-3:05 pace for as long as I could, and reassess how I felt as I went along the course. Crowds were fantastic throughout, and running through the city streets and then along the amazing views of the English Channel was remarkable. In my opinion, the views here definitely triumph over London any day! I reached the 10km mark in just over 43 minutes, feeling comfortable. I then reached the half-way (21km) point in ~1:32, again feeling very comfortable, even having a friendly chat with a few other runners at this point. I managed to hold a relatively steady pace until 26km, when I felt a slight twinge in my left hamstring. I slowed my pace from a ~4:15/km to 4:45/km, desperately hoping the slight spasm would resolve. I continued for around 4km like this, and once I reached 32km, I needed to stop for a couple of minutes to stretch out and briefly massage my leg. From this point onward, my pace was reduced to a very slow ~6min/km, which was quite upsetting. Another 2 brief stops also had a negative impact on my pace, too. Not only did the cramping in my hamstring act up, but I also had a cramp now in my left calf. Bizarrely, my forearms and chest muscles were also slightly cramped! I managed to cross over the finish line in 3:26:43, somewhat slower than I was expecting, but still a great feeling, none-the-less! Based on my current 10km and half marathon times of 38:18 and 1:23:39, respectively, I was hoping to run the marathon closer to 3 hours. Having a slight injury in my right glute over the winter months prevented me from doing as many long runs as I would have liked to, meaning I was somewhat unprepared for the final 6 miles of the marathon. This seemed true, as it all went pear shaped during the final 6 miles, which I can see definitely had a negative impact on my overall time. I have another marathon in just under 7 weeks, where I would like to achieve a sub 3:15 time. 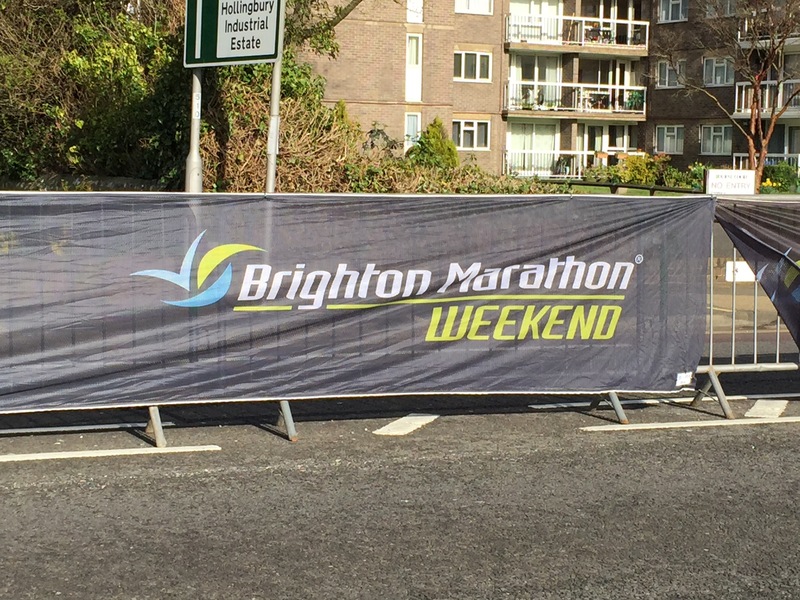 Below are a brief summary of the plus and minus points I found with Brighton marathon. Conclusively, a great event which I would definitely recommend for those looking for a fast, flat course with great crowd support. -Great atmosphere and crowd support. -Well organised (at Withdean Park; I cannot comment about Preston Park). -Most of the route was very scenic. 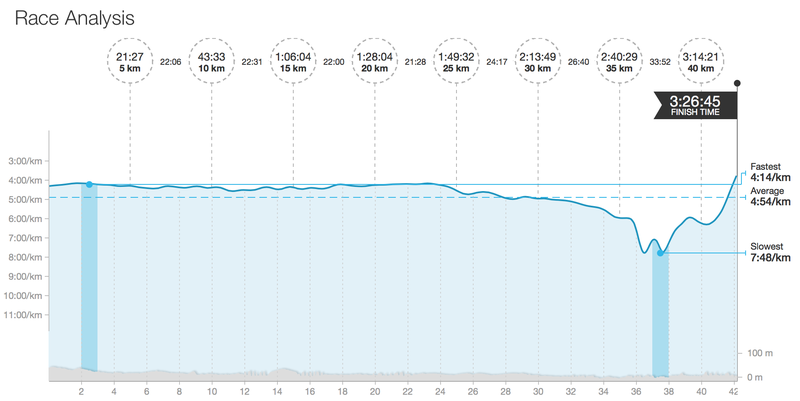 -Generally flat and fast course. -Plenty of water and energy drinks on the course. -The long run up to and around the power plant was a terrible strain for me, and like a never ending stretch which was quite demotivating. -Water and energy drinks in cups were difficult to take and drink. -Some very quiet parts of the course with no crowd support.